Why choose between the convenience of an indoor venue and the beauty of an event on the sand? The Beach House offers one of the largest beachfront decks of any venue on Florida's West Coast and a state-of-the-art, climate-controlled dining area with an unobstructed view of white sands and clear Gulf waters. Our exclusive bridal suite envelops you and your party in romance and luxury. Make your entrance across a wooden bridge that leads to a ceremony on the beach surrounded by sea grapes and native flora. Then, celebrate in style in a private reception area with climate-controlled technology, contemporary decor and a delicious menu filled with locally sourced seafood, produce, baked goods and more. 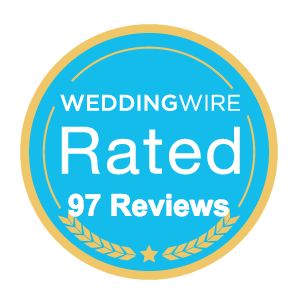 A stylish and modern venue with one of the largest gulf-front decks on Florida's West Coast, this is the perfect location for an intimate or mid-sized ceremony. My husband and I had our wedding at the Beach House Waterfront Restaurant on January 20th, 2018. We could not be more pleased!! Not only is this a gorgeous venue, the service was outstanding, and the food was super delicious!! Shawn Rhoton, the Beach House wedding coordinator was absolutely amazing!! She made sure everything went according to plan and went above and beyond!! I would 100% recommend this venue! !